The Northwest Regional Fiddle Contest is held annually to help perpetuate the fiddling culture and history of pioneer America; to help develop a more genuine audience appreciation, understanding and participation; to preserve the oldtime fiddling tunes; to develop and encourage jam sessions and contests; to permanently record and display the history, relics and mementos of the art of oldtime fiddling; and to acknowledge the present-day fiddlers who are helping to preserve these traditional expressions. Three (3)-qualified judges do the judging. Judges’ scores will be tabulated, and cuts will be made based on cumulative scores. A play order will be posted as soon as possible before each round. Judging will be done remotely and no judge will see any contestant or hear an introduction or commentary. Contestants will be identified to the judges by number only. Stopwatch will be used to enable strict enforcement of the four-minute rule for rounds one and two, and five minute rule for round three. Entry form must be completed and a non refundable entry fee paid before April 15 to avoid late fees. Upon signing the contestant registration form, all commercial recording, photo and video rights are reserved and shall become the property of the Northwest Regional Fiddle Contest. Guest badges allow free entry to contest. Only one per registration form is permitted for sessions one and three only. All guests wanting to attend session 2 will need to purchase a session 2 ticket. We encourage accompanists to pre-register. Accompanists wanting an accompanist badge and guest badge must register. Initial order of appearance for the first round of play will be randomly selected and posted in the warm-up room. Order of appearance for rounds two and three will be based on Judges’ scores. A play order will be posted as soon as possible before each round. Contestants should remain in the practice room or close proximity and be ready to play when called. Stage dress code: Proper stage dress for all rounds shall be clean, in good repair, and have no holes or rips. Short shorts, bare midriffs, and revealing tops are not considered proper stage attire for all rounds. Any contestant who harasses or threatens a judge or NWR Staff will be automatically eliminated for the current and following year’s contest. Three judges will be used with the high and low scores thrown out. The three middle scores will be added together. Contestants at each appearance must first play a hoedown; second a waltz; and third, a fiddle tune of choice; other than a hoedown or waltz. No contestant shall play a tune more than once during the contest. Championship Division will have 5 minutes for all rounds. Contestants going over the allowed time will lose 10 points per 10 seconds from the total score. A 9 second grace period will be allowed after four minutes or five minutes depending on the round. 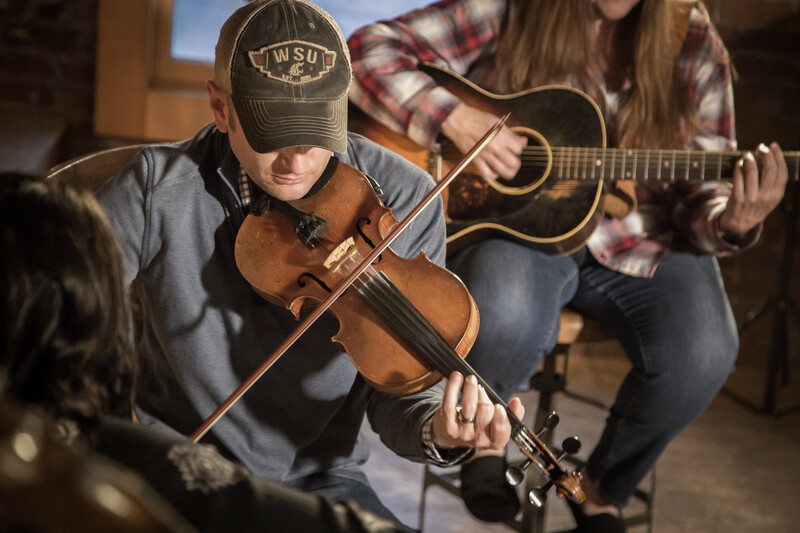 Judging criteria on individual tunes will include but is not limited to Oldtime Fiddling Style, Danceability, Rhythm and Timing, and Tone Quality. Points will be deducted for any violation of the rules. All divisions are allowed up to three accompanists. If an unwanted accompanist comes on stage, the contestant may stop and ask the person to leave. The contestant may start over with no penalty on time or from the judges. If a string breaks, the contestant will have the option to continue or stop at that point. If the tune is completed it will be judged as played. If the contestant stops play, due to a broken string, he/she will be allowed to begin with that tune and complete his program without penalty. A tie occurring in the top 5 of any division will be broken by the two contestants agreeing on one type of tune (hoe down, waltz, choice). Unless judges request best song played. Playing order will be determined by a coin flip. Contact microphones and amplified instruments will not be permitted during any competition. No trick or fancy fiddling allowed during the contesting appearances. No sheet music shall be displayed in the contesting area. Any contestant winning three consecutive years in the Championship Division must either judge the following year’s Contest or sit out the Contest that year. 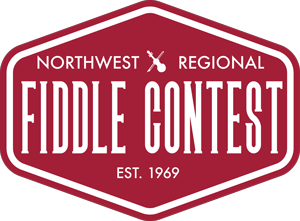 Any contestant winning three consecutive years in the Senior-Senior Senior, Adult, Young Adult, and Junior divisions will automatically move into the Championship Division. Any Junior – Junior or Small Fry contestant winning three consecutive times in their division, will automatically move into the next age division. Any contestant winning a trophy or money must appear on stage to receive their awards or the awards will be forfeited. Any protest must be submitted in writing to the Contest Chairman, and signed by not less than three contestants of the Contest involved within three hours of protest occurrence. All decisions of the Judges and of the Contest Committee will be final.